Everything is Somewhere were instructed to submit a planing application for a steel framed storage building to be used in conjunction with a residential property and planning permission has now been granted. In this case we advised that pre application advice was sought as there were three potential locations for the building. The application did not receive any objections and therefore a delegated decision. With the onset of winter flying days become fewer as weather restricts operations. It will be either rain or the wind which prevents flights taking place. This year the amount of enquires and instructions is higher so every effort is being made to get the jobs completed. Everything is Somewhere has a had a busy week and three new instructions received for various planning applications. Photogrammetry requires high specification hardware and with an increasing number of instructions we have purchased a new workstation. We have undertaken a survey of a large inert landfill operation in the North West, an ideal application for drone derived data. All flights were undertaken on one day and initial data processing carried out within 5 days. We are plased to have been instructed to carry out ongoing aerial surveys to monitor some infrastructure assets. In light of the commercial nature of this project we cannot disclose details. It is however a project where drones provide the ideal solution for the client. As a Chartered Surveyor I use any number of tools and technology to assist in our work and delivery of solutions for clients. I have been a long term GIS advocate and have been using drones commercially for 3 years. Whatever the tools being used the single most important aspect is delivering the right outputs and solutions for the client. GIS and drone technology continues to evolve and for Everything is Somewhere they are used on most projects we undertake. We are feel very priviledged to be featured on ESRI UK's web site and the case study can be seen here. The planning application has now been validated. The Story Map - http://bit.ly/LitecastApplication2 created to provide an overview of the project now includes "Updates" (scroll to bottom). I have added a link to the North Warwickshire Borough Council's web site to view the application. Story Maps are proving to be an ideal method for keeping Stakeholders advised on progress. Everything is Somewhere have submiited a major planning application on behalf of Litecast for a new concrete products manufacturing facility at the Purley Chase Industrial Estate, Ansley Common, near Nuneaton. We have been commissioned to carry out a survey of a Scheduled Ancient Monument. Another UAV job where the dry weather may reveal further information about a Scheduled Ancient Monument and adjoining land. The Ministry of Housing, Communities and Local Government published the first review of the National Planning Policy Framework on July 24th. Whilst much of it relates to delivering more housing it will have ramifications for all development. It has received mixed responses from developers. We have acquired a DJI Osmo + to compliment drones for property inspections. A DJI Osmo is a handheld gimbal witrh a 4k camera. A useful add on for close up ground level image capture. Much of the work I undertake is aerial surveys and for a wide range of properties. Imagery acquisition is an automated process and therefore you are not viewing the "picture" as you would with conventional photography. On some projects a few thousand images can be captured which are then processed to create orthomosaics. However when reviewing the imagery you do come across individual photographs which are interesting. This was the first Certificate of Lawful Use or Development (known as a CLUED) that I have submitted. In this case it was a residential property where various buildings had been constructed or altered without planning permission. The difficulty I had, and I assume that this is case with similar applications, is collecting the appropriate evidence to support the application. If you are doing one remember that Google Earth allows you to view historic aerial imagery which can be very useful. Are the benefits of UAV derived surveys becoming apparent? Planning permission granted for three new toilet blocks as part of a number of unfrastructure upgrades at Donington Park. With a number of projects progressing using City Engine some time has been spent on creating a number of 3D models. A "stock" of models is being created using a combination of Sketchup and CGA generated models. We have acquired a new UAV which will be predominatley used for survey work. 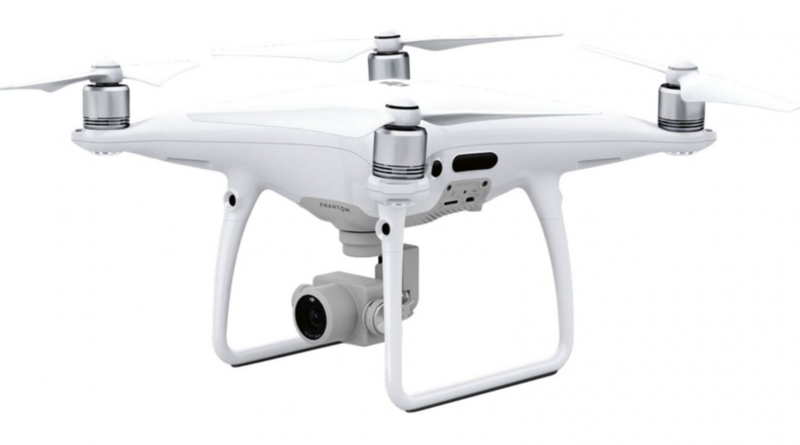 The DJI Phantom 4 Pro has a 25 minute endurance which allows larger sites to be surveyed more efficiently. Whilst not necessarily "news" whilst capturing true vertical imagery today this particular picture caught my attention. 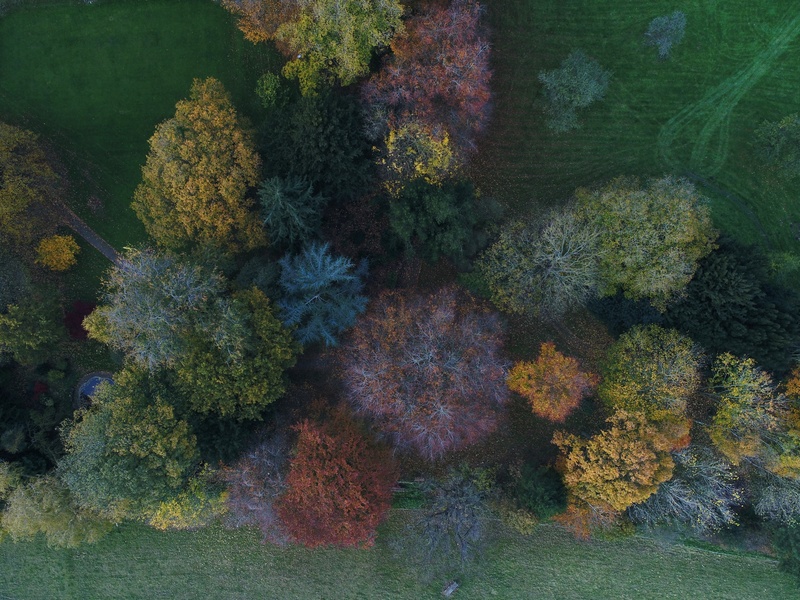 Whilst over 300 images were captured this one shows the variance in colour of the foliage. The weather was overcast will and the drone (Phantom 4 Pro) was 100 metres high. Aperture 5.6 at 120th/sec, ISO 100. Everything is Somewhere secures permission for a new three bay garage. Following the successful mapping of two farms using the New Zealand Grazing system Everything is Somewhere have been recommended to map three more farms. Everything is Somewhere has been commissioned to map the extension for another established dairy unit. Everything is Somewhere has been commissioned to map the extension for an established dairy unit. Site survey undertaken with a UAV successfully completed and design work can now start. Stakeholder Engagement remains an important part of the development process. Everything is Somewhere has created "Story Maps" using GIS and UAV imagery to keep stakeholders upto date. One minute I am filming a development site, next task a Charity Event. Vertical imagery of woodland - a different perspective. Everything is Somewhere has just complted another survey of a dairy fram using the New Zealand grazing system. More site surveys to undertake this week. Everything is Somewhere have been commissioned to undertake a tree survey of a developement site. Everything is Somewhere are working on a project to monitor mining subsidence which is being achieved using UAV imagery and GIS. The Association of Remotely Piloted Aircraft Systems (ARPAS) AGM was held today, good to meet many fellow pilots and learn about plans for the next 12 months. Everything is Somewhere were instructed by Jacksons of Jersey to help locate a new site on the Isle of Wight for a new multi franchise dealership. A site was found and contracts entered into and subject to the grant of planning permission. The site had the benefit of an outline consent which the former owner had allowed to lapse. The planning team have now secured a full permission for the site and construction is likely to commence this Spring. Everything is Somewhere have been commissioned by a long standing client to carry out a Schedule of Condition for a diverse range of assets. This will require a significant number of photographs (likely to be over 2,000) to accompany the reports. UAV imagery captured last year for other purposes will come into use. Everything is Somewhere has been commissioned to undertake roof surveys of 23 buildings for an independent school to assist with a 5 year maintenance and capital works programme. The task is to be undertaken over the School Christmas holiday when the puplis won't be distrached by a UAV! The challenge will be weather conditions. I have been surprised how much difference a new car can make to day to day life. I have recently purchased a Skoda Octavia Scout. Everything is Somewhere have received three planning permissions this week for two different clients. Whilst not all big schemes there were difficulties to overcome not least as two of the schemes were retrospective. We are now an approved BASIS UAS Operator providing high quality imagery and analysis for the agricultural sector. I attended my first event as a CLA member yesterday in Lincolnshire on the growing of miscanthus for energy. The event was hosted by Terravesta who are leaders in providing biomass for power plants. My career started in Land Agency so I seem to have full circle in joining the Country Landowners Association. The link to the CLA website and the announcement is here http://www.cla.org.uk/your-area/east/business-profiles/everything-somewhere. Well a couple of years have passed since purchasing my iMac and today a nice new one has been delivered. The reason I have found it necessary to upgrade is that I am doing much more 3D work and 4k video editing which I wasn't expecting to be doing 2 years ago. This project brings together UAV's and GIS. I have just completed flying a 385 acre farm and have produced an accurate orthomosaic at 3.5cm resolution. This image is then being used in GIS to accurately map the 50+ "paddocks" that make up the farm. In addition I am capturing additional infrastructure data such as roads, water troughs, pipelines etc. Whilst not a large scheme it was good to receive planning permssion on Monday for two buildings for Nottingham Rugby Club. Not only is the application site in the Green Belt it is also in an active flood plain. The buildings were seen as being essential to the opertaion of the club and as we had applied for a temporary consent the benefits were deemed to outweigh the constraints. Good to receive three planning permissions through in one day. Two were for applications at Donington Park and the thrid was an appeal decision for Nottingham Rugby Club. Visited an excellent planning event yesterday to see the proposed mixed use scheme for a site known as "Barton's Quarter". The property owners (Barton plc) and developers (Farland Developments) and working in conjunction with the Prince's Foundation are bringing forward a mixed use scheme for a brownfield site in the centre of Breaston. Good example of where a drone can be used for roof inspections. In addition to capturing the shadow of the drone as the picture below shows the chimney pots need re-seating and new flaunching. Data files seem to be getting bigger and bigger, in particular when using imagery. A job I undertook for a client yesterday resulted in 750Mb of images and video. I have puchased some branded memory sticks and as can be seen from the photo attached it to my business card with some string. Client thought it was very "arty", does the job though. After a very prolonged period one of my clients has been granted an EPS licence today which will allow the demolition of a building to commence next week. With only to brief period during the year when demolition can place it was certainly down to the wire. In light of the EPS licencing process it is inevitable that hundreds of applications arrive on Natural Englands doorstep at the same time. I certainly get the impression that they are under resourced but also like many other formal processes also wrapped in red tape. You may have heard about this story in the press. It is quite scary that Luke found 500 faults with his new house and some serious issues like the property not having all the insulation fitted. His twitter account is interesting to follow https://twitter.com/myhousesucks. Thankfully his ordeal is coming to an end but it has really taken some effort on his part to get matters resolved. To get things moving he set up the Twitter account, upto then he had not made sufficient progress through usual communication channels. Once again shows the power of social media. The last part to attaining my CAA Licence was the "Flight Test" which I successfully completed on Monday. The venue for the test was a caravan park close to the now closed Swinderby Airfield. Having prepared well for the exam the main issue was the weather with rain/drizzle forecast until mid morning. After a tense hour wait we had a brief gap in the weather and all was complete within 15 minutes. I was very pleased to receive a commendation for my flying skills. The required paper work has now gone off to the CAA. Everything is Somewhere will soon be able to provide clients with the aerial photography and videography. I am in the process of securing my CAA Licence to operate a Remotely Piloted Aircraft System and am hoping that all will be completed by early September. The use of drones are certainly enjoying fantastic growth and you can see why given the opportunities they can provide for a vast range of uses. Donington Park will become the home of the new FIA Formula E Championship. EiS Property secured planning permission for the development of 9 new buildings extending to a total of 6.500m2. 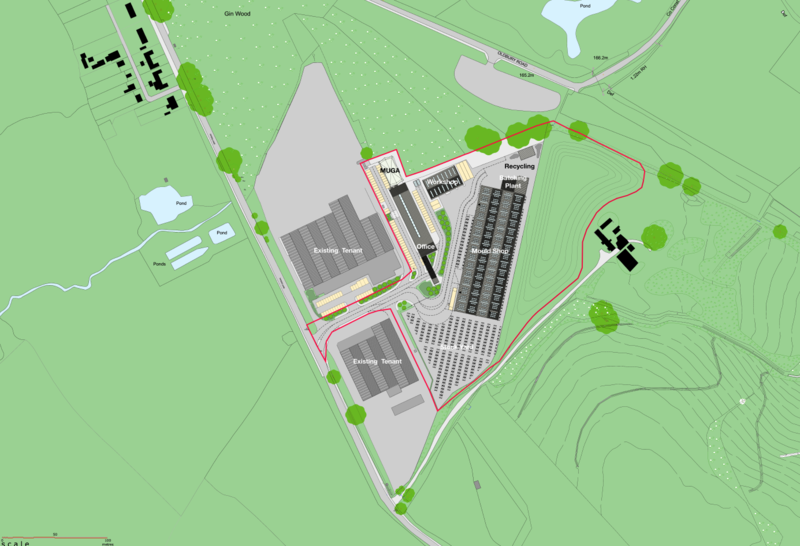 The buildings are to be constructed in the Western Paddock close to the race circuit. A lot of work was undertaken to secure the arrangement with Formula E and Donnington Park were able to offer them new buildings as well as direct access to the circuit for testing. the buildings are being constructed to the BREEAM "Very Good" standard. In early December I was appointed the Chariman of the AGI's Land & Property Special Interest Group. This group brings together specialists working in the management of land and property. The aim of the group is to highlight key issues facing the sector and improving GIS knowledge. HS2 is clearly going to affect many people. Understanding the impact and how it may affect any particular property requires some good plans. HS2 have published detailed plans for the London to Birmingham sectionand the route (also showing cuttings/tunnels etc) for the Birmingham to Manchester to leeds section.